Tim was raised in a Christian home, but came to know Christ as a junior in college. He and his wife, Tina, have been married for twenty-nine years; they have been blessed with five grown children who love the Lord, and now have five grandchildren, as well. Before being called to full-time pastoral ministry, Tim earned his doctorate in Electrical Engineering from UCLA in 1994. Tim and Tina moved their family to Boise, Idaho where he worked for ten years in the semiconductor industry. This position included a significant amount of travel, particularly to Southeast Asia which was perhaps the Lord’s way to prepare him for future ministry in that region. During that time, Tim also served as a lay elder in a local church. In 2006, the Carns family moved back to Southern California so that Tim could attend The Masters’ Seminary (TMS), where he earned his Master of Divinity degree in 2007. 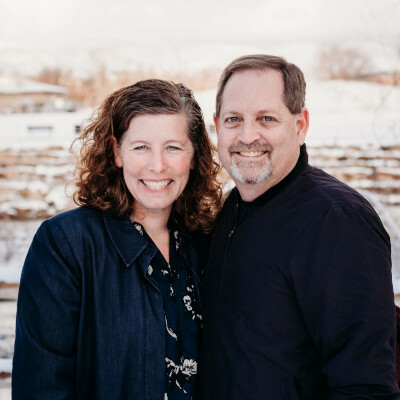 For a number of years, Tim has served as a pastor at Calvary Bible Church of Burbank in a variety of roles, including family and youth ministries, counseling and adult ministries, and as Pastor-Teacher. After taking several mission trips where he had the opportunity to train pastors, Tim realized the incredible need for training in expository preaching and pastoral ministry. In early 2015, the Lord began to place the desire in his heart to invest more into equipping pastors overseas. As a result, in the summer of 2015, Tim transitioned from the role of Pastor-Teacher to Pastor of Missions and Discipleship in order to devote half of his time to this training ministry. In order to enhance his preaching as well as be better equipped for training other preachers, Tim recently earned his Doctor of Divinity degree from TMS in 2018. - Tim travels to the Philippines at least four times/year to teach the 3-year modular program on expository preaching through The Expositor’s Academy (TEA). - While in the Philippines Tim regularly preaches at several churches and conducts conferences on various topics such as marriage, parenting, discipleship, the church, and pastoral ministry. - Recently, Tim has been involved with TEA in exploring the potential of training in other nations in Southeast Asia. - Tim travels to Malawi each year to teach in the Master of Divinity program at The Central African Preaching Academy (CAPA). - While in Malawi, Tim also preaches at the students' churches when requested. - Tina travels with him 2-3 times/year to serve in the local churches, conducting seminars for women, meeting with the wives of the pastors, and participating in the churches’ outreach ministries. 2. To give by credit card use the donation box below. 4. To give by check, make it payable to “GMI” and write “Tim Carns” in the memo line and then mail it to Grace Ministries International, 13248 Roscoe Blvd., Sun Valley, CA 91352.